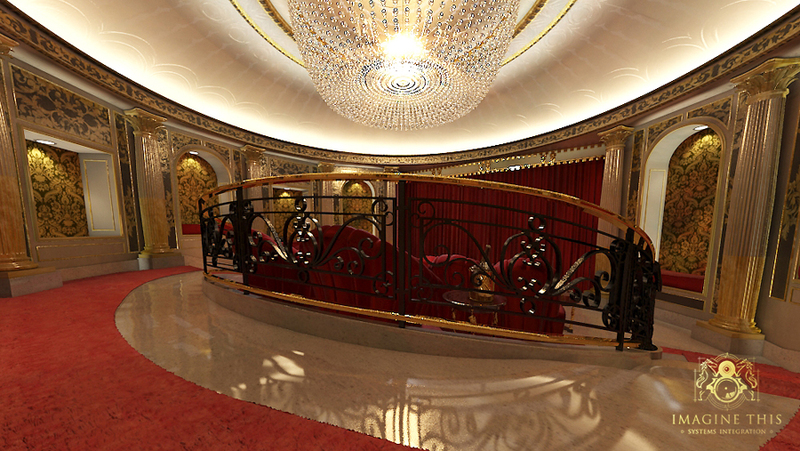 We design our theatres using unique 3D methods so that we may convey our ideas efficiently and precisely. Our modeling process is the envy of the industry and allows us to tailor your design until complete satisfaction with our goals and ideas. As both THX and ISF certified designers and engineers you can be sure that no one in our industry knows more. We have lead the luxury theatre market for many years and continue to win and be nominated for the highest industry awards. 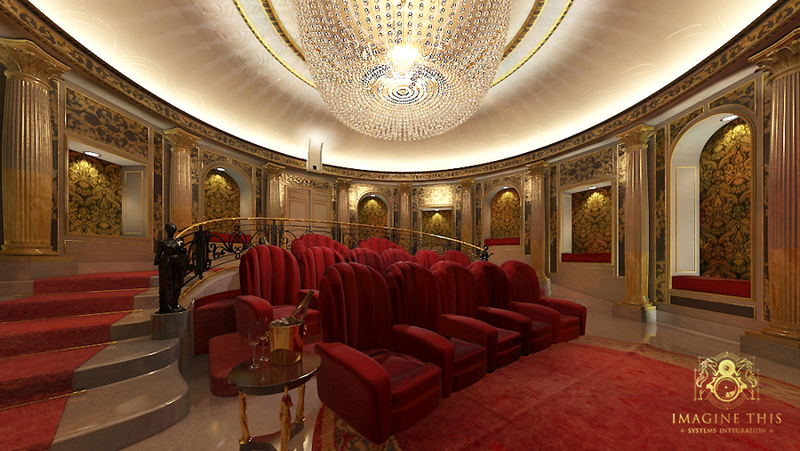 Our theatre designs are the pinnacle in aesthetic and technical development. This is done using specialist industry pioneering methods. We use both the technical design and the initial modelling process to discuss with the client before we move on to the next stage. After client feed back and acting on the technical data we develop these designs to full technical specifications, CAD drawings, acoustical room treatments and finally the modelling / aesthetically and interior design. This could if required be developed into a full motion video showing exactly how the room, or rooms, will look and behave once delivered. This process ensures that you know and understand exactly where we are heading and how the room will look and the expected results in performance. We provide drawings and schematics showing cable requirements, signal routing, etc. We will also, as necessary, represent you by meeting with other construction professionals, such as your architect, interior designer and electrical and mechanical engineers. As a result of this tried and tested method of communication and partnership, we know that you will be delighted with the whole process of design and installation. Our state of the art walkthroughs provide our clients the best possible way to visualise their Immersive Theatre just as it will look - but before it is installed. We use 3D computer graphics technology to produce realistc renders and walkthroughs as part of the design and development process. These renders and video walkthroughs help to communicate the look and feel of the Immersive Theatre design to the client. 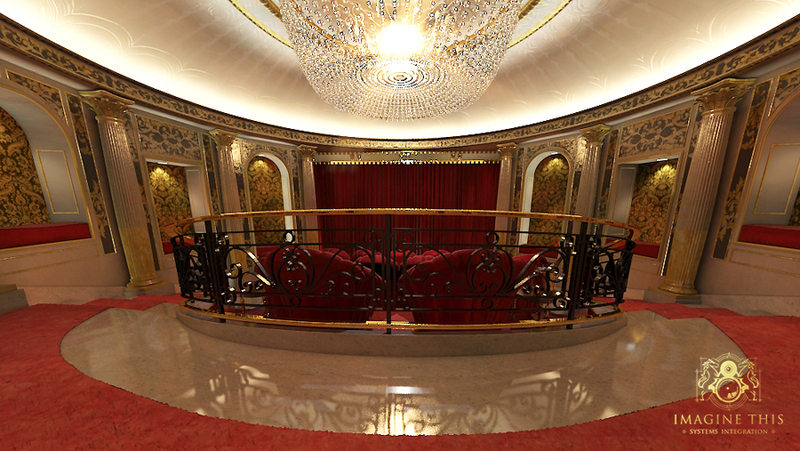 The videos shown below show various stages of some of our theatre designs.